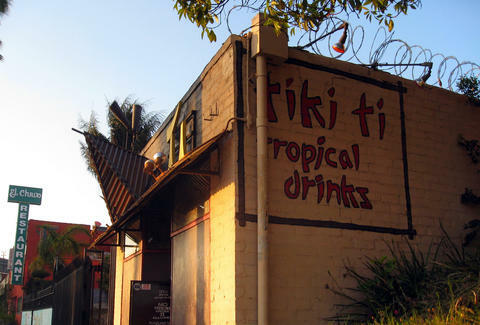 Los Feliz's Legendary Tiki-Ti is "Indefinitely Closed"
Tiki-Ti, a decades-old Los Angeles institution and legendary tiki bar -- arguably one of America's best -- announced on Facebook Wednesday that it is "indefinitely closed." The shocking news comes after the tiny tiki bar didn't open as usual on Wednesday, and triggered a huge outpouring of supportive messages from longtime fans in the comments on its Facebook page. Tony Merevick is Cities News Editor at Thrillist and hopes to get sloshed on sweet tropical drinks there someday soon. Send news tips to news@thrillist.com and follow him on Twitter @tonymerevick.